I purchased this as a gift and it was happily received, she is a beach lover and plans to wear it for nights out on vacation. It arrived packaged nicely in a bag inside a box, and is very vibrant in color. 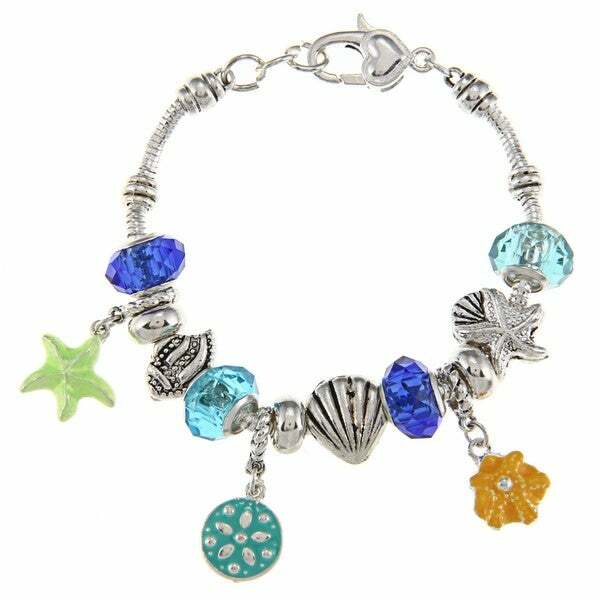 This stunning bracelet by La Preciosa shines with blue glass beads and sealife characters. This jewelry piece features a snake chain and a lobster claw clasp.